However, Nebraska went without a field goal for the next 6:25 until Brown’s third three-pointer of the game came with five seconds left. 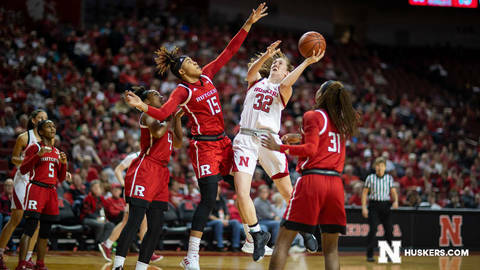 Nebraska came out of the break with some fire and went on a 9-0 scoring run – including six free throws – in the middle of the third quarter to cut Rutgers’ lead to 41-38. However Rutgers finished the period with a 50-42 lead.